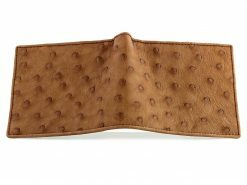 Ostrich wallets for men made from genuine walnut colored ostrich leather. 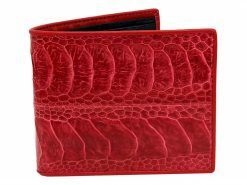 This soft exotic leather wallet has long been popular with the rich and famous and those in the fashion world but with a premium price tag. 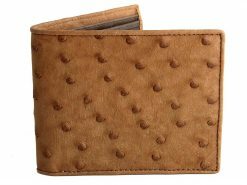 Now you can own one of these mens leather wallets for a bargain price. Accommodates all styles and tastes, no matter if it’s in your jeans pocket as you gear up for bowling night or in your suit pocket when sealing the deal. The edging of this wallet is tough stitched with leather cord by hand, the most durable finish on any wallet. 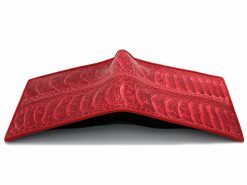 Crafted from a single piece of ostrich quill and finished with a matching ostrich interior.